The craft of web design is often overlooked as easy – as if anyone could pick it up & learn. In some ways this is true: anyone can learn to be a great web designer. But it’s not easy and nobody just picks up web design in a few weeks. To learn the intricate details of web design you’ll need to practice. A lot. These details might include repeating patterns, textures, logos, icons, and compositional techniques. You could learn these things in a design agency but for those who are just getting started you’ll need to learn on your own. The following books are great materials for anyone who’s ambitious enough to be self-taught and consistently work through practice lessons. This large 350+ page compilation was put together by Corey Barker, creator of Planet Photoshop. Each of these techniques focus on graphic design projects but they can apply to any field of visual creation. In the first few chapters you learn the most important techniques like rendering out backgrounds and creating textures. The more detailed chapters cover specific techniques like special effects, typography, and 3D graphics. 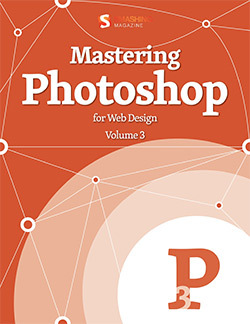 Anyone who wants to learn Photoshop in a step-by-step process will get a lot from this book. There’s no doubt that Photoshop’s greatest strength is in photo manipulation. While this may seem rather useless, it’s actually an important technique for web design. Compositing is the act of removing elements from a background & reworking them into other backgrounds. Compositing Secrets will teach you everything from the basics of rendering to blending and matching other photos together into a collage. You’ll learn color manipulation, lighting, and other small tricks of the trade. Photography is a big part of web design so at some point you’ll want to learn at least the basics of compositing. Many designers have realized that Photoshop is not just about photo compositing. It can be used for many things like UI design and creating unique textures from scratch. These textures can be applied to websites and mobile apps for a more defined style. 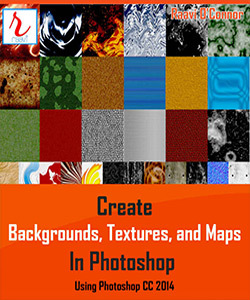 This book teaches you how to create a large handful of textures and backgrounds from scratch. You’ll learn more about filters and layer masks while also picking up smaller tidbits like keyboard shortcuts. If you want to make better textures then this book is for you. Everyone should know about the “classroom in a book” series which is regarded as the perfect starting point for beginners. 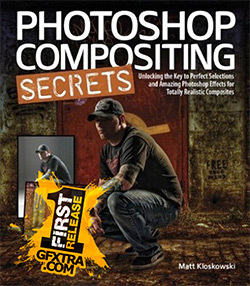 Photoshop CC is the latest release and the newest edition of this book includes techniques both new and old. 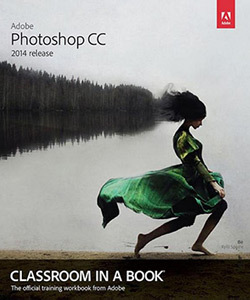 If you’re using an older version of Photoshop you might go for something like CS6 Classroom in a Book. Regardless of which version you buy it’ll generally cover all the basics. These books don’t really cover UI design but they do explain the tools and panels necessary for Photoshop familiarization. 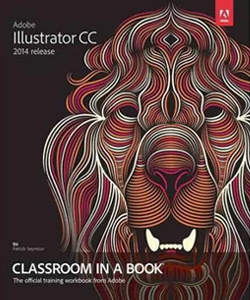 Much like the previous example, this book is dedicated to teaching Adobe Illustrator CC. It covers all the basic tools and panels while introducing you to some beginner lessons. The book also comes with project files so you can work directly from the tutorials with ease. Speaking of Illustrator, where should this program fit into the web design workflow? In general it’s meant for creating vector artwork like shapes, logos, mascots, and icons. This book Creating Icons for Websites and Apps explains how to design icons using Adobe Illustrator. It’s easiest to buy on Kindle since the paperback version is difficult to find. However it really is the best way to get into Illustrator for web design once you understand the fundamentals – or even if you don’t! This book will explain each step in great detail so you could open Illustrator for the very first time and still follow along. Mobile devices have created a world full of Internet access from every coffee shop and doctor’s office. This in turn has led to a new type of layout known as responsive. These responsive websites respond to the browser window – sometimes wide, other times more narrow. When designing in Photoshop it’s tricky to make responsive mockups because a document size needs to stay fixed. 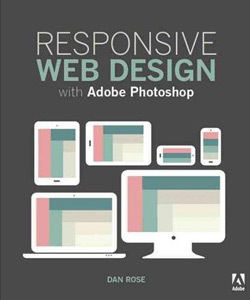 This book covers the best methods for responsive mockup design using Adobe Photoshop. It can be a little tricky but with the right workflow it’ll become like second nature. Smashing Magazine is a very popular web design blog that also writes publications. They release eBooks on different topics and one of these eBooks is Mastering Photoshop For Web Design. It covers dozens of features from grid design to non-destructive editing with masks and smart objects. While Illustrator is the best program for vector icon design, Photoshop also has a Pen tool which can be used for building vector icons. 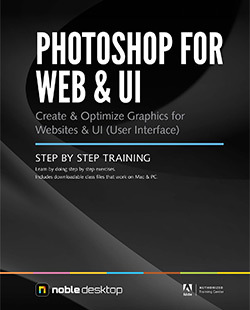 Every topic in this book focuses on Photoshop and how you can take advantage of all the best features in your web design work. 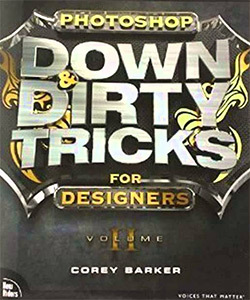 Corey Barker is also the author on this design book released in October 2015. It goes into more depth than his previous book while still covering on many of the same topics. Graphic designers can learn a lot along with web/UI designers. Topics include text effects, commercial graphics, textures, and Hollywood-style effects. 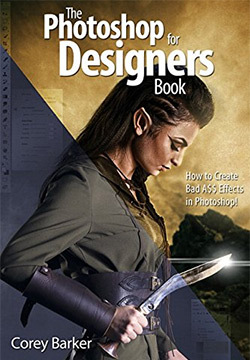 This might be a book that’s best-suited for people who already know the basics of Photoshop and want to take their skills to the next level. By practicing these lessons you can build up your skills to a professional level in no time. This spiral-bound training manual is the best resource for anyone who wants to learn Photoshop for web design. It’ll cover everything you need from grid systems, typography, patterns, textures, and a dozen other helpful topics. It should be noted that Noble Desktop is Adobe Certified and produces very high-quality training materials. The book is only 200 pages yet it gives you all the information you could possibly need as a beginner. Von Glitschka is a teacher on Lynda and the author of this great book. Vector Basic Training explains how to create vector shapes using Illustrator’s most powerful tools. 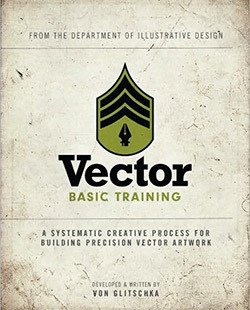 You’ll learn the systematic process for creating vectors from scratch and manipulating paths to your desired effect. Then you’ll add colors and details to design varying styles of icons. This isn’t a book for mastering Illustrator, but rather a book that covers the whole icon design process. 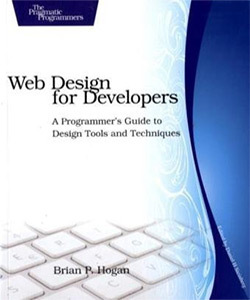 Anyone who’s brand new to web design really should check out this book. 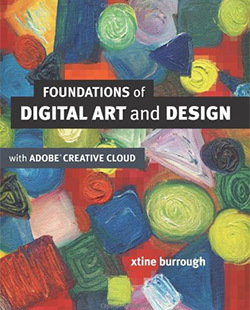 Foundations of Digital Art and Design looks at design from a foundational perspective. It covers all the basics you need to know in order to understand what makes good design. 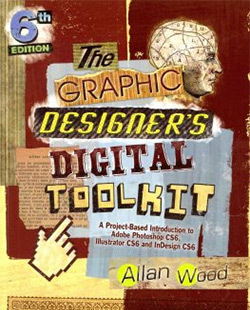 This book can apply to all forms of digital design from graphics to print work, and of course web/UI design. Each chapter runs like a single lesson and they all have videos that explain the process. There’s an audience of developers out there who want to learn more about UI design. Web Design for Developers is made for this audience & it’s a great tool for anyone just getting started. This book takes you on a journey through a practice website redesign. It talks about core principles like composition, accessibility, color theory, typography, and other similar subjects. Then you learn how to create a full website mockup using Photoshop. Just because you write code doesn’t mean you can’t design – and this book is an easy way onto that path. Don’t let the name put you off from this amazing collection of Photoshop techniques. 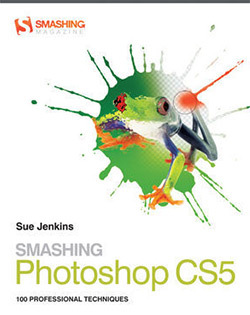 Smashing Photoshop CS5 is another Smashing Magazine book that covers 100 unique tips & tricks from professional designers. Even though the title references CS5, these techniques can apply to any version of Photoshop including CS6, CC, and future versions as well. You’ll be taught how to properly use different tools to create very specific effects. And while this book can work for beginners it’s typically best if you already have some knowledge of Photoshop under your belt. This rather verbose title is aimed at a wide array of digital design features. You’ll learn about Photoshop, Illustrator, and even InDesign for digital projects. This means the book goes into depth about more than just web design. But the principles of design tend to overlap regardless of medium. This digital toolkit is big – about 800 pages big. It’ll take effort to push through all the lessons but in the end you’ll learn a hell of a lot about design. Learning to craft pixel-perfect websites is no easy task. You’ll need to spend months(if not years) practicing and mastering different tools. But these books can guide you through the process and improve your confidence along the way.